Traditional workouts can range from boring to daunting. If you’ve been in a fitness slump, it’s time to get non-traditional—turn your workout into a thrilling adventure with a combination of acrobatics, juggling, and balance exercises. Circus training puts an invigorating new spin on the total body workout, taking both the body and mind for a wild ride. New Jersey Circus Center in Morganville has something for everyone, whether you’re interested in strengthening your body or building your confidence. Their experienced circus trainers will keep you guessing, and hopefully, coming back for more. If you are counting the minutes to the end of your gym workout, circus training may be just the thing to get you back in the saddle. This total body workout is far more engaging than multiple reps at the gym, because the process of burning calories is pleasantly disguised as having fun and learning a brave new skill. 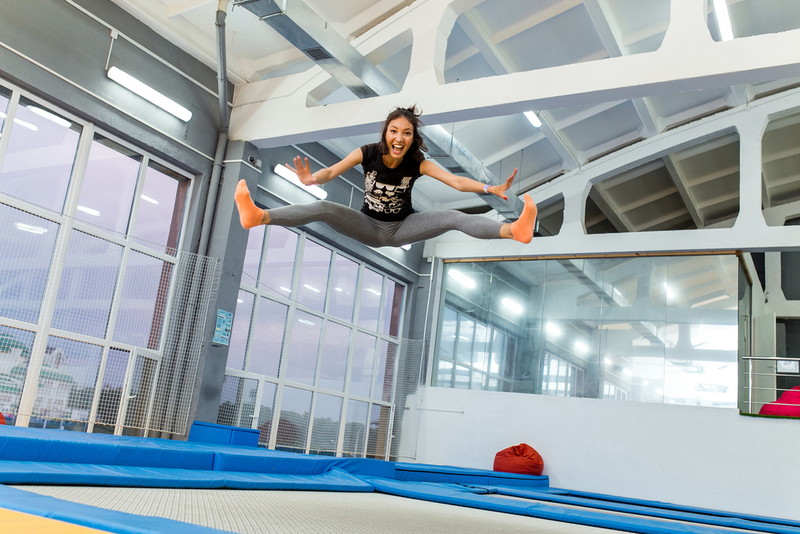 Depending on your goals and preferences, you can choose from a broad range of aerial classes and ground skill lessons. The classes have a familiar structure; while they start with stretching and warming up, they quickly move to learning tricks and gaining proficiency at a comfortable pace. However, you won’t have to get in the zone with some mindless aerobic steps—starting your workout with meditative juggling is always an option at New Jersey Circus Center. Circus training engages the mind and motivates participants to set new standards every day. For example, ground gymnastics helps develop balance and core strength, while tumbling classes increase flexibility and entertain thrill-seekers. The tight wire will foster skills like balance and concentration, while controlled exercises on the static trapeze will tone your entire body. Restore the integrity of your workout with circus training, and turn fitness into an exhilarating journey to self-discovery. Or, inspire yourself and your friends with your new routine on the aerial silks. Call the New Jersey Circus Center at (732) 705-3244 or visit them online for a total body workout schedule.